The purpose of this report is to consider how good the college website is for students. the idea I discussed among all students how it would be, I mean, how it can be improved, or how it can be designed and if it is only for the purpose of teacher to put exercises for homework se everybody can participate. From some of the students´ opinion, the webpage is not constructed for all the school community, because school doesn´t have anything tod make surveys in whic school can ask the students about some important questions about school. Why they like the webpage. On the other hand, the website is used as a way to tell parents some important reunions about the school. 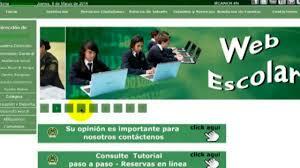 The best purpose of the website is that all the community of the school can get better by being able to communicate. Clearly, the website should be used as a way of getting in touch with the college and be an open line of communication.